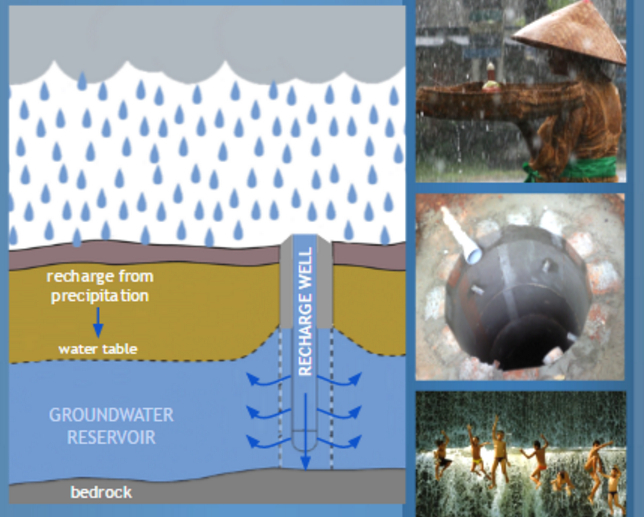 Artificial groundwater recharge is the hydrotechnical increase of the abstractable groundwater resource. In those areas where the natural groundwater resource is not sufficient for the yield of the water supply, compensation by artificial groundwater recharge can be considered. Many waterworks in Europe practice it to assure the water supply because the artificial recharge is controllable and independent from weather conditions. – infiltration collector well (horizontal).